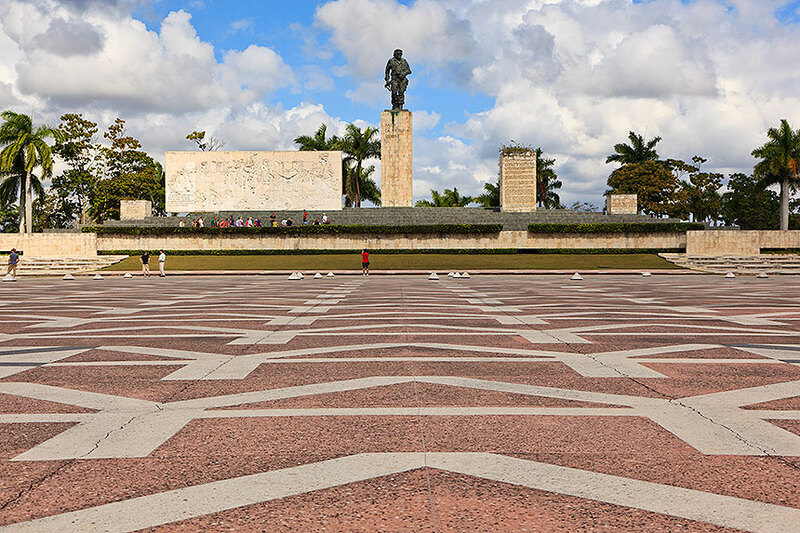 About 250km southeast of Havana is Santa Clara, the place where Che Guevara and his guerrilla forces fought and won the final battle against the Batista government. The city's significance, then, is both as a symbol of the victory of the revolution, and as a memorial to Che Guevara himself, who was later killed in Bolivia on orders of the CIA. 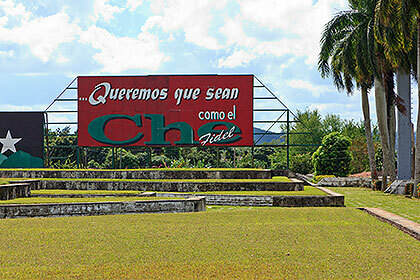 We looked forward to seeing the museum at the Che Guevara Memorial, which has artifacts and photographs pertaining to his life and military deeds. No photography or bags were permitted in the museum, which was understandable due to the limited space and nature of the exhibits. However the atmosphere created by the absurdly severe attitudes of the armed guards, combined with the equally severe Soviet styling of the museum and memorial, left us feeling oppressed ourselves, and glad to get out of there. This was the only place in Cuba that made us feel, as tourists, a little bit of what it must feel like to be intimidated under the heavy hand of an authoritarian regime. We came to Santa Clara with two goals: to see the memorial and then have lunch, but our visit added a third goal: to leave. Conjunto Escultorico "Comandante Ernesto Che Guevara". 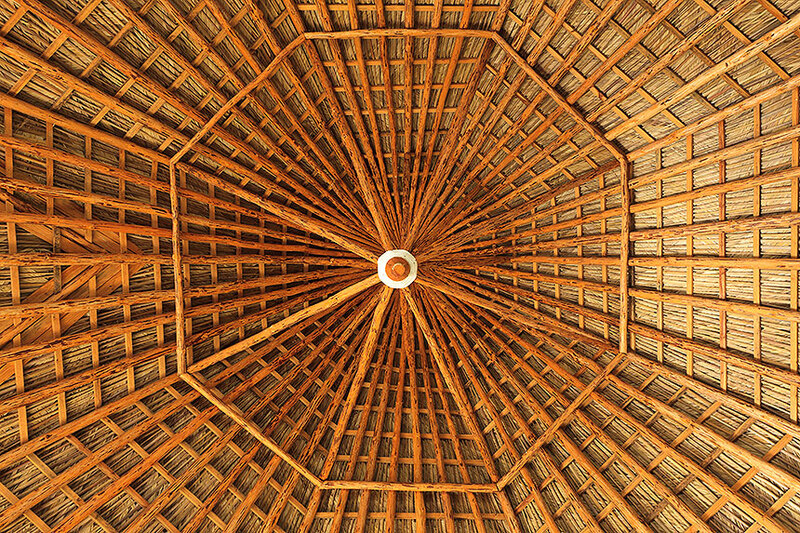 Beneath a thatched roof of our lunch restaurant (at least it was friendly).